You have chosen the venue, selected the food, sourced the cake, brought the dress, sorted the suits and finally finished the guest list. It stands to reason on what will be one of the biggest days of your life you want everything to be perfect. You are planning to make a huge commitment in front of all of your family and friends and finish your special day with a big celebration. Music plays a pivotal part of any wedding and you will have spent time selecting the right music for the ceremony that captures and creates the perfect ambience. However music will be just as important at the reception as it can be the difference between having a dance floor heaving with guests dancing the night away or everyone making polite conversation and not daring to be the first to dance. Although there are no guarantees that you can get your guests dancing, there are a number of things that can make the odds far more favourable. Whether or not you hire a professional DJ will be down to your preference, and there is no reason why you cannot provide him or her with a wedding disco playlist. 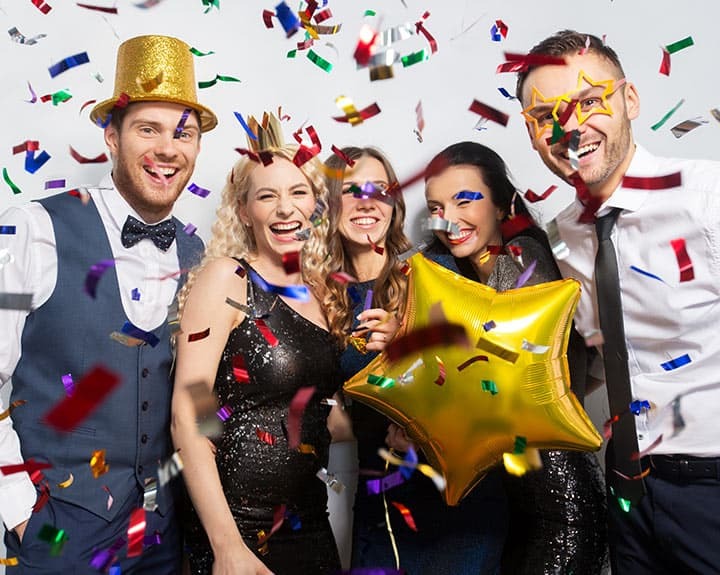 Doing so ensures that you will have some control but there are many factors that you need to take into account for an enjoyable and successful party. Probably the most important consideration is to make sure that you produce a balanced playlist that comprises of music for all tastes and age groups. You may have very particular music taste but it is best to avoid specialist music and choose a wide variety that is suitable for all guests. Picking the wrong music can bring down the mood, people feel music and good party music will create a great atmosphere which in turn will have a strong influence on your guests and how much they enjoy themselves. Before you begin to pick songs for your playlist, it is a good idea to look at how your playlist will be structured, how the tracks will progress and the ratio of fast to slow songs. Too many people make the mistake of thinking that if they play popular hit after hit they will get their guests up and moving. To maximize participation there needs to be fluctuations in energy. The music needs to rise and fall to ensure variety but also to provide intervals where people can rest, go to the cloakroom, get a drink and so on. People come and go during a wedding reception and others need a few cocktails to get them dancing. This is why you want your music to have a steady progression and ideally you should arrange the music in sets of 5 – 6 songs with a ratio of 1:6 slow to fast tracks. When creating the various sets you want to appeal to the widest possible audience, yet still throw in various styles of popular music. Although it is a wedding it doesn’t mean that all hits have to be love songs, you need a helping of classic disco hits to appeal to all guests. Statistics show that the majority of people follow current chart hits until they reach their 30s and it is at this point that their interest in new music declines. Each generation will have been exposed to music from their parent’s era and because of this there is an increased knowledge of popular music. Taking this into account each song chosen should be considered for its’ merits as a good party song and not chosen purely because the bride and groom really like it, even though it is not a song that they would dance too. 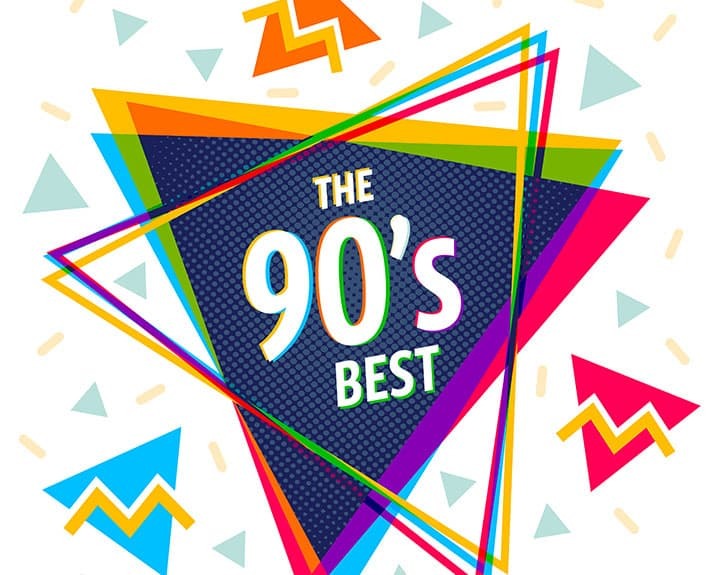 More couples are opting to play the part of DJ at their own celebrations by creating their playlist and letting this play on continuous loop in the background through the entire event. This has the advantage of the bride and groom having full control over what music is played and what is not. There are distinct disadvantages to this, such as the advance preparation that is required, meaning another thing to add to your ever growing list of jobs. The choice of music may not appeal widely enough to all of the guests and there is the added responsibility of making sure that your equipment doesn’t breakdown. The biggest disadvantage though is that your guests have no freedom to request certain music and this can be the difference between them joining in or not. Assigning the music to a professional wedding DJ doesn’t mean that you cannot have a good amount of input; in fact it will be welcomed. Professional DJ’s are experienced and as so are able to see and gauge how the guests respond to certain music styles and genres in order to really get your party started. 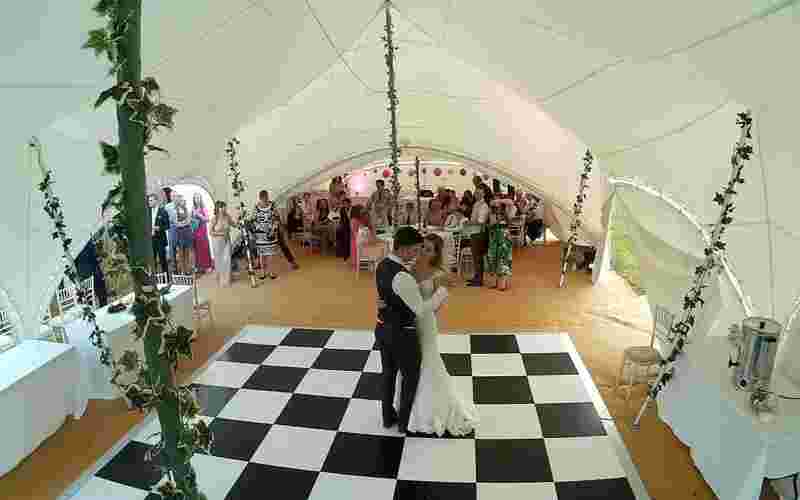 UK Mobile Discos provide an exceptional professional mobile disco and DJ services at a competitive price and would welcome the opportunity to be part of your big day. Contact us today for an informal chat on all of the services that we can offer to make your big day the special day that you have always dreamed of.